I’m still working on Phase I of the plan I described earlier. I need a signature from a VIP before I can head out to the study communities, and that person is difficult to track down. In the meantime, I’ve been staying with the Doctors Without Borders team in Mariscal! I think there’s about 11 people in Mariscal that make-up the team, and another smaller group in Asunción that deal with administrative details of their work. Half of the people in Mariscal are international, from Argentina, Bolivia, Nicaragua, Peru, and Spain, and the other half are locals. The DWB team is trying to tackle Chagas disease in Boqueron. The DWB website doesn’t have any field reports from the team in Paraguay yet, but this page gives you the gist of their work. 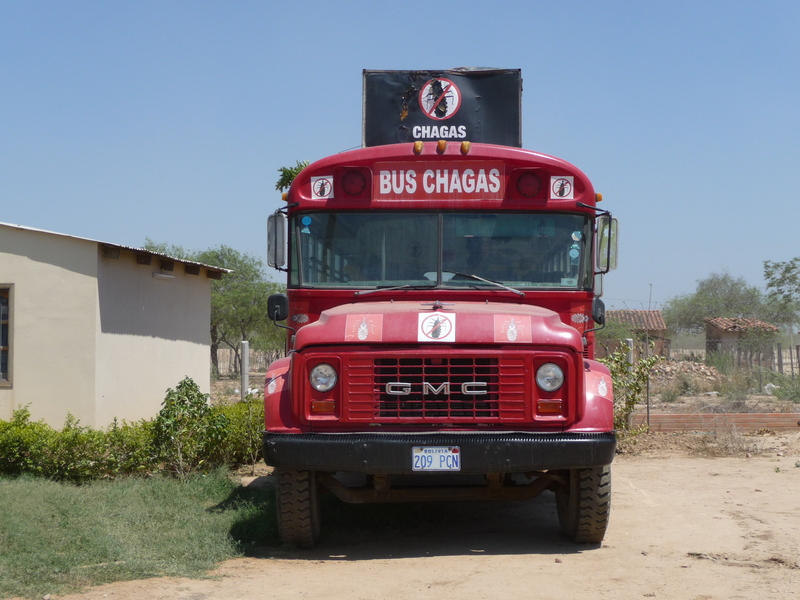 They’ve got a “Chagas Bus” that they’re going to take around to the communities. 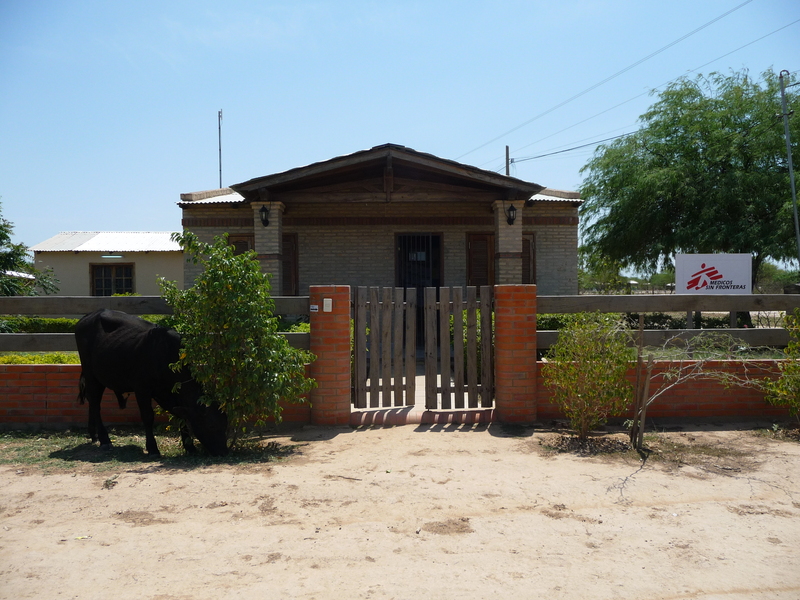 Mariscal is an interesting place – it’s the last “big” Paraguayan outpost in the Chaco before you hit Bolivia. There are other communities on the way, but I think the customs office is located in Mariscal. Most of the people in Mariscal are either part of the military, the local administration, or they work for the regional hospital. I think the total population in Mariscal is about 2500 people. There are also some interesting conspiracy theories about American activities around Mariscal. And it has incredible dust storms. Ugh. It was already ~42 °C on the day filmed above, and it felt even hotter in the wind. I was wearing my glasses, sunglasses over my glasses, and covering my face from the wind; and still at the end of the day it looked like I was wearing eye liner from all the black gunk I blinked out of my eyes. But Mariscal can be pleasant on cooler days when the wind is weaker. Most of the heckling/cheering going on in the background is in Guaraní, so I understand very little. But I think the sentiment translates well… it gets really rowdy! After a slow start the civilians ended up winning 4 to 1.